That dust storm was one of many that followed a severe drought in 2007-2009 and years of land degradation. The wind carried away topsoil and pushed sand up against the farm-gates, fences and bush. Two-thirds of Hipolito’s cows died of hunger and the price paid to breeders for livestock crashed. To help countries prepare for climate risks and deal with resulting food price volatility, the World Bank-managed Food Price Crisis Response Trust Fund, launched a program of technical assistance focused on strengthening the resilience of agriculture to ENSO events and climate change more broadly. Over 2015-2018, 27 grants of technical assistance were completed in more than 30 countries, yielding policy recommendations and knowledge-sharing across regions. The trust fund was supported by Australia, Canada, Korea and Spain. In Argentina, a World Bank policy note financed by the trust fund provided a timely conceptual framework for the preparation of a $150 million project focused on Integrated Risk Management in the Rural Agroindustrial System (known by its Spanish acronym GIRSAR). Finalized in June 2016, “the policy note put the mitigation of risks at the center of government preoccupations, not just disaster response,” said Juan Buchter, who was part of the project preparation team. The fact that the World Bank project loan was approved in May 2018 in a difficult financial environment is a sign of the government’s strong commitment to this agenda. “Federal and provincial accounts rely on agribusiness and will continue to rely on this sector for many years,” explained Hugo Rossi, Undersecretary of Political Coordination in the Secretary of Agroindustry. Agriculture primary goods and processed products represent about 60% of Argentina’s exports, and the food system is a major contributor to the national economy and jobs. “The agenda of minding climate risks in this sector is the agenda of the fiscal health of Argentina and the agenda of the fight against poverty,” said Rossi. The GIRSAR project aims to strengthen and better integrate information and early warning weather systems, while also supporting investment in long-term adaptation tools such as climate-resilient roads, efficient irrigation systems and sustainable land and forest management at the provincial level. 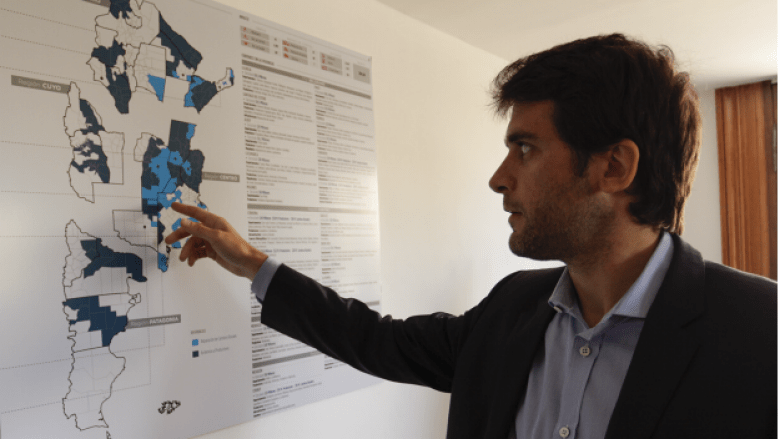 Ten to 12 provinces are expected to propose priority investment plans, including the province of Buenos Aires which encompasses Patagones. The weather in Patagones, a semi-arid area at the door of Patagonia, is reliably unreliable. According to measurements taken on Hipolito’s farm since 1981, rainfall has averaged 450 mm per year but has oscillated dramatically between 300 mm and 600 mm, and particularly dry years (under 300 mm of rain) have recurred as frequently as exceptionally wet ones (over 600 mm). 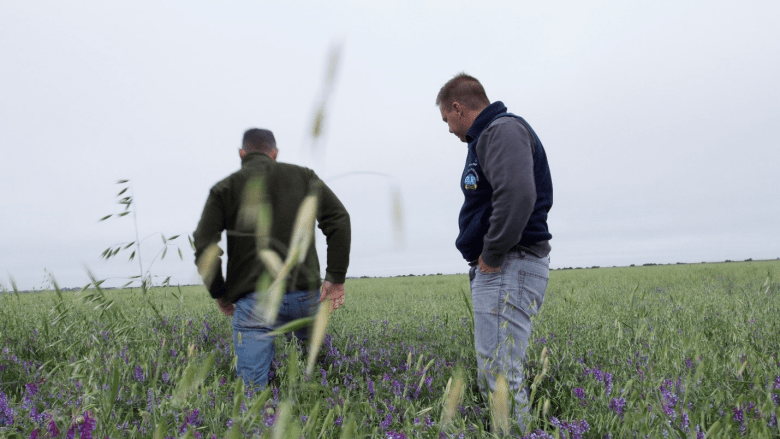 That uncertainty has encouraged in the past a “casino mentality”, in which farmers take their chances on rainfed cereals at the risk of depleting soils. 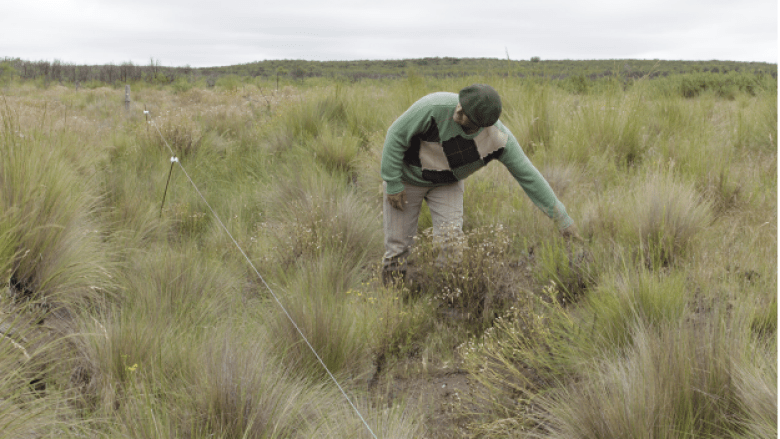 It also makes Patagones an ideal testing ground for climate adaptation strategies. Hipolito’s extensive farmland is one of several production areas selected to pilot more resilient land and water management practices under a World Bank project financed by the United Nation’s Adaptation Fund and implemented by Argentina’s Secretary of Environment and Sustainable Development. In the past few years, parts of the land have been returned to natural pasture that propagates when seeds are carried by the wind and digested by animals and is more resilient to climate extremes. Other areas have been seeded with perennial wheatgrass known locally as agropiro and interspersed with vicia, a nitrogen-fixing leguminous plant, to remedy soil degradation and erosion associated with annual crops such as wheat and oats. The whole ranch is now under a system of rotation in which metal fencing moves ruminants around so that they eat pasture in short bursts, enhance its soil composition with manure, and then leave it alone to regenerate. 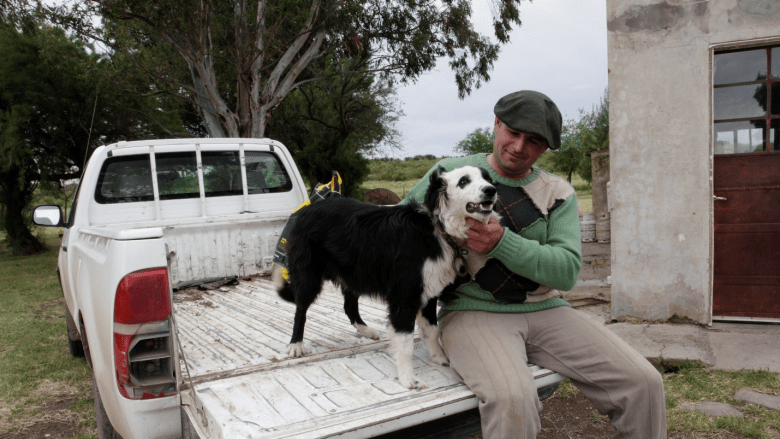 Hipolito also began raising sheep in addition to cows in 2014, to take advantage of high export prices for merino wool. Three Pyrenean sheepdogs patrol the flock at night to deter pumas and keep sheep losses in check. Finally, Hipolito hires occasional labor to clear thorny bush from fence lines and create barriers of vegetation-free ground to manage the impact of fires. Given the constant struggle against natural, climate and market risks, it’s no wonder Hipolito’s brothers want nothing to do with agriculture and livestock. Hipolito manages a 2,500-hectare property alone with his elderly parents. This entry was posted in WBG News & Reports and tagged Buenos Aires, climate change, ENSO, Farming, Storm, Wereldbank Groep, World Bank Group by NL4WorldBank. Bookmark the permalink.